Mar. 26, 2018 9:42 a.m. 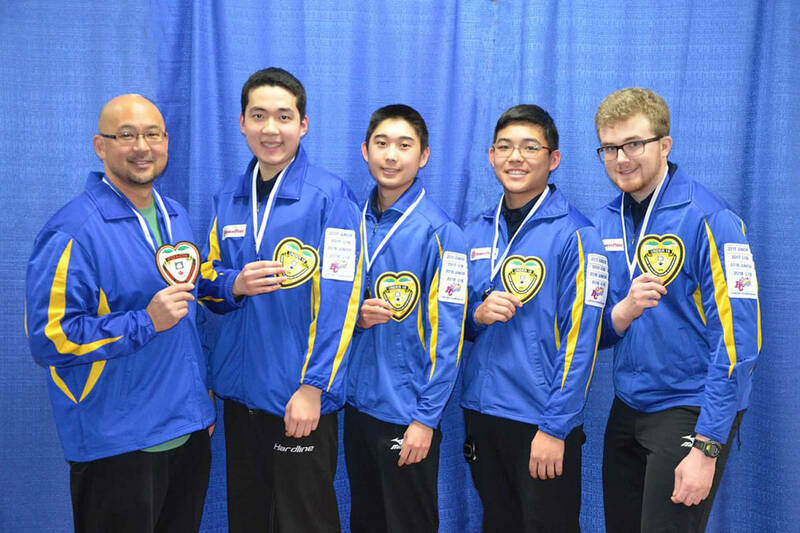 Team Ballard took gold at the second-annual Optimist BC U18 Boys Curling Championships last weekend. Team Ballard — which includes Cloverdale’s Dawson Ballard as skip, third Hayato Sato, second Joshua Miki and lead Troy Chong — is a split team, with members of Royal City and Coquitlam Curling Clubs. They took bronze at the inaugural B.C. U18 event in 2017, and returned to the tournament this year to secure a first place finish. In the U18 boy’s final on Sunday (Mar. 18), Team McCrady initially led 3–1, and it seemed as if they would be able to come back from a pair of close losses to Team Ballard during the the round robin and playoff games. But Team Ballard managed to recover, and inched out a 4–3 win. They finished the tournament undefeated, with seven victories under their belts, and will move on to represent B.C. at the 2018 Canadian U18 Boys and Girls Championships. 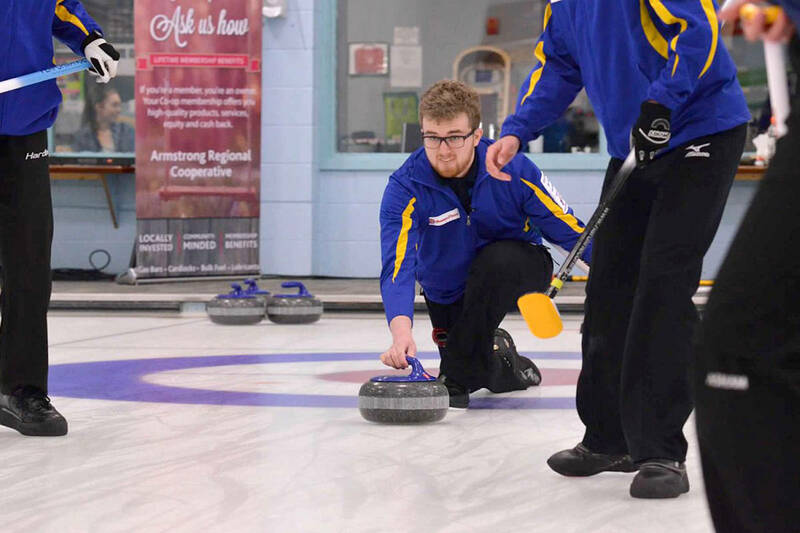 The national competition will take place between April 9 and 14 in St. Andrews, N.B., and the team has started fundraising for their cross-country trip to get to the Maritimes. Team Ballard will be joined by Team Cotter, of the Vernon Curling Club, who will represent B.C. U18 women.